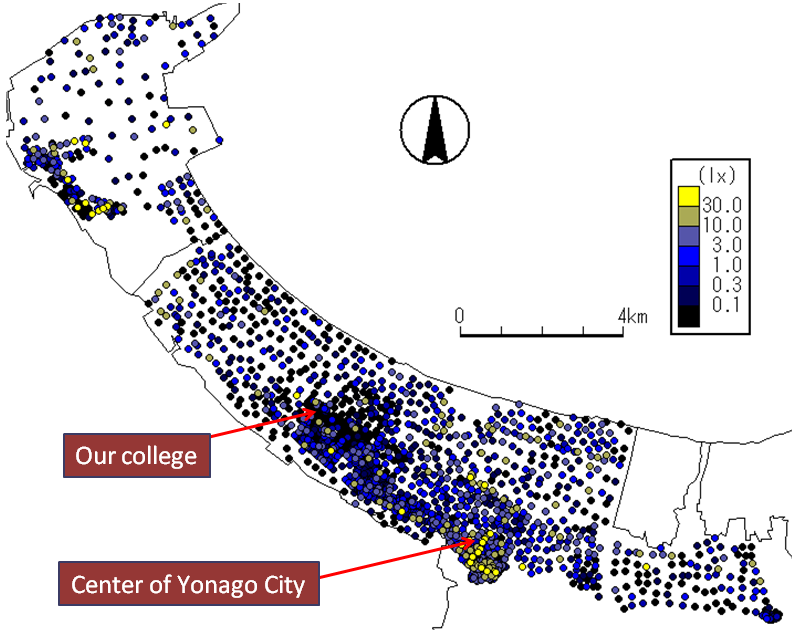 In Japan, Nobuaki Ochi of Yonago National College of Technology and eight science-club students made local maps of the city brightness (measured by a luxmeter) and the sky brightness (measured by Sky Quality Meters or SQM-Ls) to raise the awareness of local citizens to issues on light pollution. Figure 1. The map of the city brightness around Yonago, Japan, measured using a luxmeter. Points are colored by horizontal illuminance (lux). The students took measurements at 2,044 positions over 4 months. Figure 2. The “mesh” map is made from Figure 1. 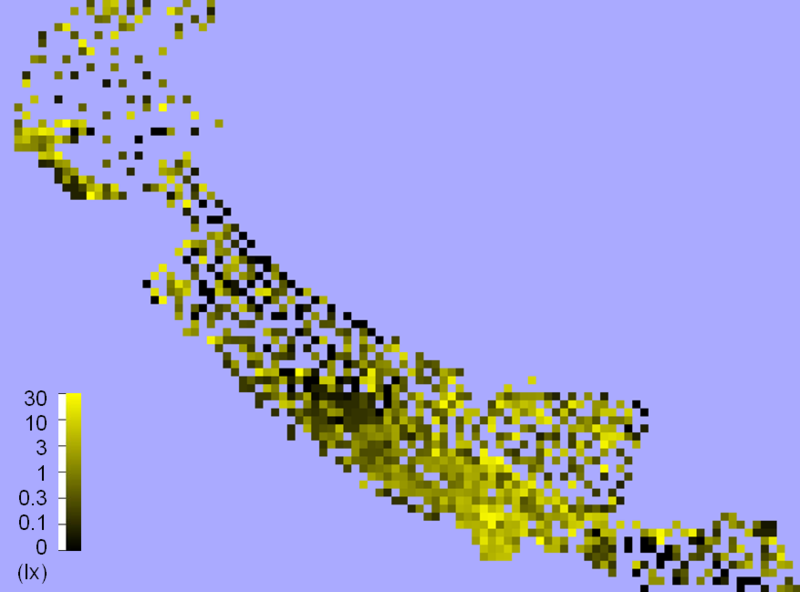 Each 200meter-mesh is colored by median values of the illuminance within the mesh. The brightness of the center of the city can be clearly seen. Figure 3. 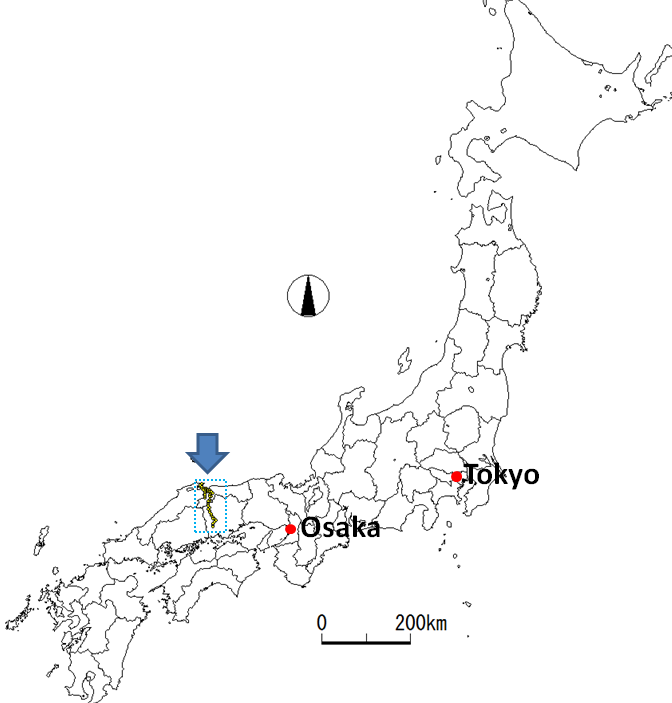 A map of Japan. The blue rectangle shows the area of Figure 4. Figure 4. The map of the night sky brightness measured using SQM-Ls. Yonago is the most populated city in this region, showing a little bright night sky. Along the national road to the town, Bisei, they have a rather good sky, as dark as 21.3 magnitudes per square arcseconds.